Late last month, we told you that Sprint had announced that the first Windows Phone 8 model to be available from the carrier would be the HTC 8XT. On Tuesday, the nation's third largest carrier revealed a July 19th launch date for the device, which offers the front-facing stereo BoomSound speakers seen on the HTC One.The phone also features Beats Audio technology for enhanced audio capabilities. The HTC 8XT is equipped with a 4.3 inch screen with resolution of 480 x 800 (WVGA) and a pixel density of 217ppi. A dual-core 1.4GHz Qualcomm Snapdragon 400 processor is under the hood while the Adreno 305 GPU handles graphics. 1GB of RAM is onboard with 8GB of native storage. A 64GB capacity microSD slot is available to expand storage. The 8MP rear facing snapper captures video in 1080 x 1920 and there is a 1.6MP front-facing camera as well. An 1800mAh cell powers the unit. The phone has a resemblance to the HTC 8X, although it has more "green" features including the fact that it comes in 98 percent recyclable packaging. The phone will cost $99.99 after a $50 rebate and a signed two-year pact. Sprint also announced that it will release the Samsung ATIV S Neo later this summer for a contract price of $149.99. This model will feature a 4.8 inch HD display, 1GB of RAM and a removable 2000mAh cell. I think I'll wait for the Ativ S neo. Stupid Sprint always late to the party. I was going to wait for the Ativ S Neo as well, but I couldn't deal with the wait so I decided to get an Android. I will wait as well. 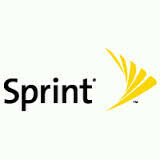 There is no telling when Sprint will get a Nokia Windows Phone. Congratulations, Sprint! You get a warmed-over HTC 8S. Pretty much, but with a name resembling a better device to try to sell more units. Pretty lame.